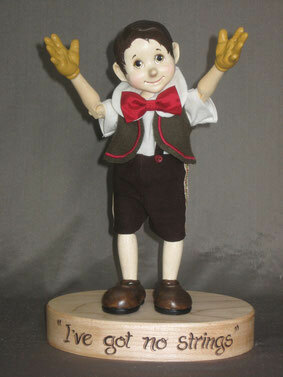 Our New 9.5" Pinocchios these were featured on on our Kickstarter Project. Still a few of these adorable little fellows left. 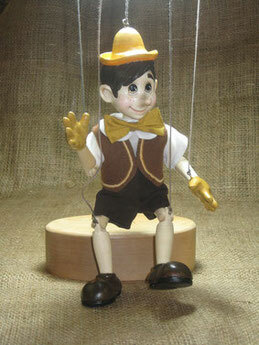 The Little Marionette Pinocchio - before he become the mischievous little boy. 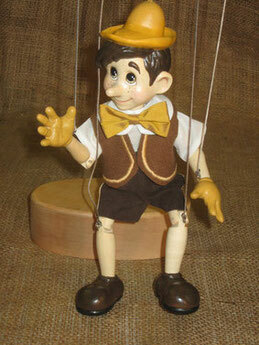 He has 9 movable soft joints so he can be manipulated as a marionette, his hat is carved in one piece with his head. Dressed in leather shorts, white batiste shirt, wood vest and yellow bow tie. 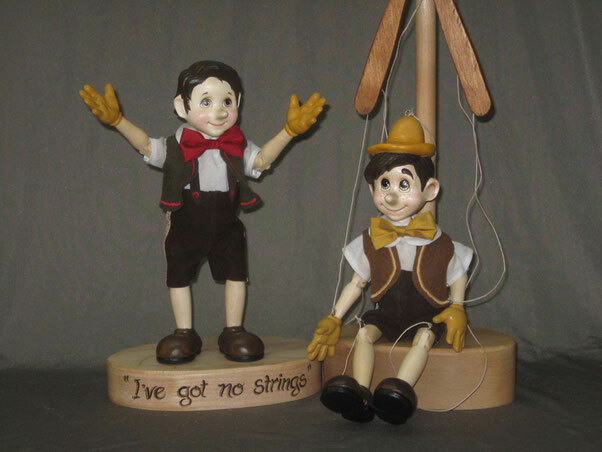 He is strung with 5 strings attached to a crossbar. His base is mounted with a holder so you can either rest the crossbar on the top of the holder so he can stand or he sits quite nicely on the base. Pinocchio "I've Got No Strings"